Subaru of America is about to uncover the all-new 2020 Subaru Outback at the New York International Auto Show and it will be a big deal for the Japanese automaker. The Outback is one of the flagship models that customers have come to love and expectations are high for the new-generation model. Outback has been the brand's highest-volume product since 2016, with the Forester a close second. In 2018, the Outback and Forester combined provided 51.5 percent of Subaru's U.S. sales. Subaru knows they need to get the new Outback right for customers. Will Subaru Corp giving customers what they want in the new Outback SUV/Crossover? Customers will be enamored with more interior technology, including a large center-stack screen, the advanced safety tech it will come with, new more efficient engines, and a bigger more comfortable cabin. Do customers want a new Outback that has a step up in exterior styling? Probably, but what customers want most when the sixth-generation 2020 Outback arrives this summer is quality above all else. Subaru has struggled in recent years because they are popular with a new generation of buyers that have never purchased a Subaru vehicle before. The Japanese automaker has not been able to keep up with demand because of the fast clip the brand has grown around the globe, and especially in the U.S. and Canada where they continue to see record sales. Subaru has had quality issues at their Gunma, Japan factory, where workers are overworked and underpaid. The record growth in the past 9 years has is been both a blessing and a curse. If customers continue to have tech issues with the current Starlink infotainment they won’t be happy. If performance fans have more problems with the 2.5-liter turbo WRX STI engine, it won’t go well. 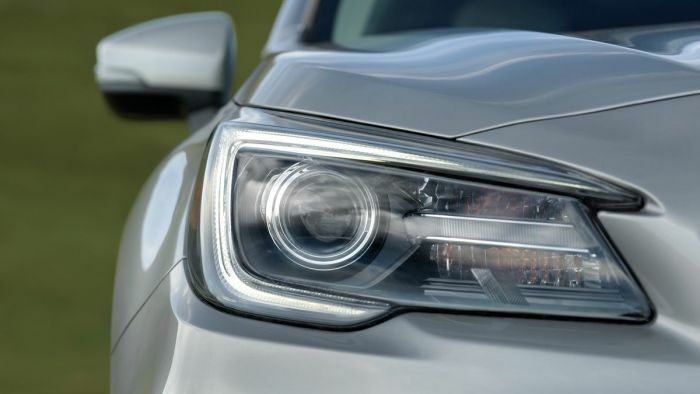 There have been a massive global recall for the Crosstrek, Impreza, and BRZ model’s 2.0-liter engine which is hurting Subaru Corp.
Subaru has made big changes in their leadership and new boss Tomomi Nakamura needs to get it right or Subaru could be in trouble. Customers will be excited about the all-new 2020 Subaru Outback being unveiled tomorrow in New York, but they want a new all-wheel-drive SUV that shouts quality above all else. Subaru is only sold because of Quality. Subaru customers will not tolerate any compromise in Quality. Other car manufacturers are launching very competitive choices. Love the new Outback but NOT PLEASED WITH THE ELIMINATION OF THE 3.6 MOTOR !!! Please rethink this choice. Thank you. How about a manual transmission? That's what's driving me away from the brand. Have owned 11 Subaru's since 1983. Have 2 now. PLEASE do something about front seats. They have to be some of the worst in the industry. Tend to sag very quickly and are too narrow. I am 6 foot and 175 lbs. The upward slant of the seats' sides gets you in the side of the thigh. causing numbness. Also, needs more storage room in spare tire area for tools, oil,etc. The should come with a coupon for a free head gasket replacement at 100k miles. Save the owner a $2K repair. Outback owners want a low gear for better climbing and slow decents!!!!!!! This current owner of a 100,000 mile 2011 Outback since new happens to one of the potential owners who does NOT want a large screen center stack. I find them all visually distracting and during dark hours, they can destroy ones night vision. I'm not totally against a form of screen, but we are getting to technology for the sake of technology and nothing more. Screen sizes are competing with the absurdly sized TV's that are currently on the market. Reminds me of the era of the "talking car". Cute until it became an annoyance. Just like the digit dash displays or that era. Deal breaker -- no 40-20-40 rear seat. If hauling longer items -- say paddles, poles, etc. ; you know, the outdoorsy things Subaru advertises the Outback to do better than any other vehicle -- the rear passengers are squished together on one side of the vehicle. Can't believe this isn't something they'd implement. I am looking seriously at the 2020 outback.I'm driving a V8 Hyundia Equus.even Hyundia USA is clueless about their premium executive car and no one seems to know how to repair it when needed.The 45k hit I'll take on a trade will be hard to swallow.Subaru has always had a great reputation.I'm a firm believer in ALL safety features,the more the better.In time, auto makers will make them standard which helps put a lid on insurance premium increases. WE ALL take our attention off the road more than once....I don't want to leave that too chance.